Lenovo has today launched the most affordable 4G smartphone in India, the Lenovo A2010, which beats Phicomm Energy 653 and ZTE Blade Qlux 4G (Both are priced at 4,999 INR) by a razor thin margin. Though the tussle for the cheapest 4G smartphone title doesn’t make any sense to us, Lenovo A2010 will hold the crown for now and that should perhaps account for some marketing advantage. Talking of specs, the Lenovo A2010 has a 4.5 Inch IPS LCD display with 480 x 854 pixel resolution, and is powered by 1 GHz quad core MT6735M 64 bit chipset, paired with 1GB RAM and 8GB internal storage. Other features include 5MP rear camera with LED flash, 2MP front camera, Bluetooth 4.0, WiFi, AGPS and a removable 2000 mAh battery. The Vibe UI in A2010 is based on Android 5.1 Lollipop. 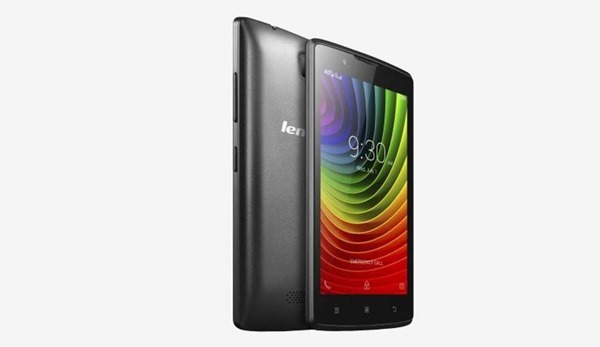 Affordable 4G smartphones have worked great for Lenovo in India. The last few 4G LTE smartphones, including A6000, A6000 Plus, A7000 and K3 Note have helped the Chinese manufacturer attain 30 percent market share among 4G smartphones in India. However, this success can’t be entirely credited to inclusion of ‘4G LTE’, which is still in nascent stages in India. These were all great value for money phones with more enticing spec-sheets compared to other competition in their respective budgets. Lenovo A2010 will exclusively retail on Flipkart via flash sales, for 4,990 INR. You can register to participate in the pilot flash sales which will be held at noon on 3rd September,2015.